This is about the midpoint of my visit, and after the constant movement of last week, now I am staying put for more than a week down in Cornwall; since there isn’t a car I can drive, I have only my feet to carry me about. The weather, similarly, has settled down, with sunshine and clear skies, after the changeable fare of last week. I was fortunate then to be able to take a walk along the Thames outside of London last Tuesday with one friend, and along the seafront at Brighton on Friday with another. In between those two events, there was a fair amount of travel, mostly by car, as I headed to East Anglia on Wednesday to see an aunt and uncle. That journey took longer than expected, as did the wet drive north from their house to visit Carol and John’s group in Norfolk the following morning, after which I pointed myself back towards London, enduring an hour on the North Circular before I could drop off the car and continue by train to the south coast. 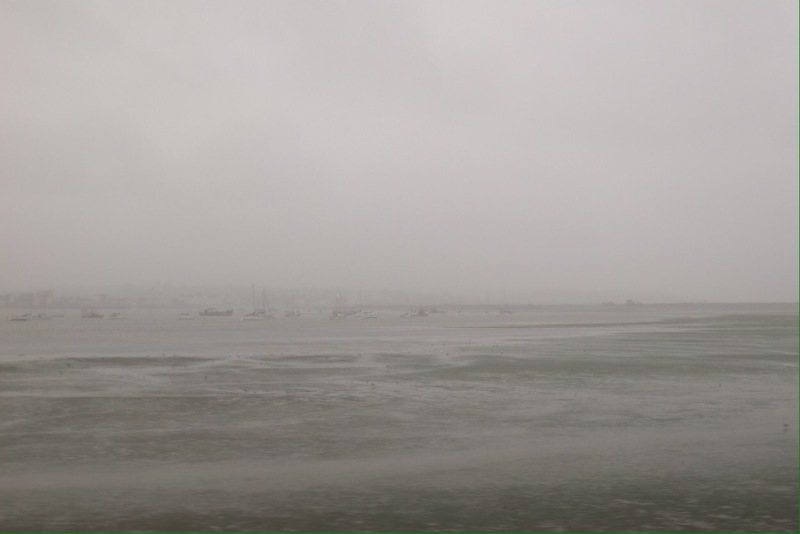 The last of the journeys was on Saturday, six hours and four trains, through a mostly rainy day down to Liskeard, parts of which are, at least, my favourite stretches of railway travel. With the Norfolk group, and with the Brighton Deshimaru group that I was invited to speak to on Friday evening, the theme was lay practice, and practising in the city – or the village, in the first instance. The discussion in Norfolk was rich, so we tackled a number of topics. In Brighton, I deviated from whatever notes I had made, and was probably waffling rather until Clare asked me a question, after which I felt like I ended up saying something close to what I had intended (when I get back, I will do my best to edit and publish that talk, and maybe one of the others). Part of what I wanted to convey was something that came from my thoughts about the third Bodhisattva vow (‘Dharma gates are boundless, I vow to enter them’). Temples and monasteries are fine places to go and learn about ritual and ceremony, and indeed, that is one way that you come to embody the practice, which is what we have to do – much more than merely understanding, as many posts on here have pointed to. But if we think we have to go somewhere special to practice, we are missing the point. At the same time, the rituals in the temple are teaching us that every activity is worthy of our careful attention and concentration, without distinction between ‘sacred’ and ‘mundane’. So how do we take that knowledge out into our everyday lives? Similarly, as far as I see it, how can we take our open, curious mind of meditation out into all our daily activities? As my recent post from Suzuki Roshi illustrated, it is very easy to do that at the monastery; lay life requires much more determination. Both groups welcomed me warmly, and still I was aware, as it was my first time visiting both of them, that I had to pay attention to the forms. My suggestion in Norfolk that we sit first, mainly so I could gather myself after the ninety-minute drive, obviously broke with precedent, but the request was kindly accommodated. When we turned around for a short service after sitting in Brighton I realised that I didn’t have any idea of what might happen – chanting the Heart Sutra in Japanese was at least familiar. This happens whenever you visit a new group; even the three branches of San Francisco Zen Center have subtle differences in how things are done. It was only at the end of the week, having stayed in five different houses in the course of the seven days, that I realised I was doing the same thing as a guest: trying to discern the forms of the kitchen especially – finding my way around, learning where things belonged, how they were arranged, which sponges were used for which function. At my father’s house, the forms are long established, though now I am more in charge of carrying them out, especially with my stepmother taking my presence as the cue for a week’s break from care-giving. I learn again which milk to put in the tea, and, most importantly, to ensure there is a spoon for the breakfast honey. 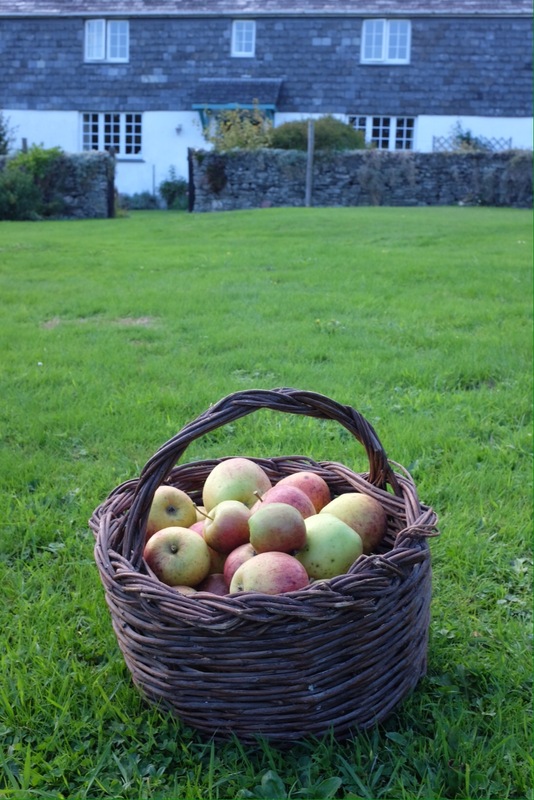 During the day I try to make myself useful, clearing the gutters, gathering kindling from the twigs and branches that were blown off the trees in last week’s high winds, picking apples. Otherwise I make myself available to my father, whose mobility is limited now, in case he needs something. Typical monastic practice really. 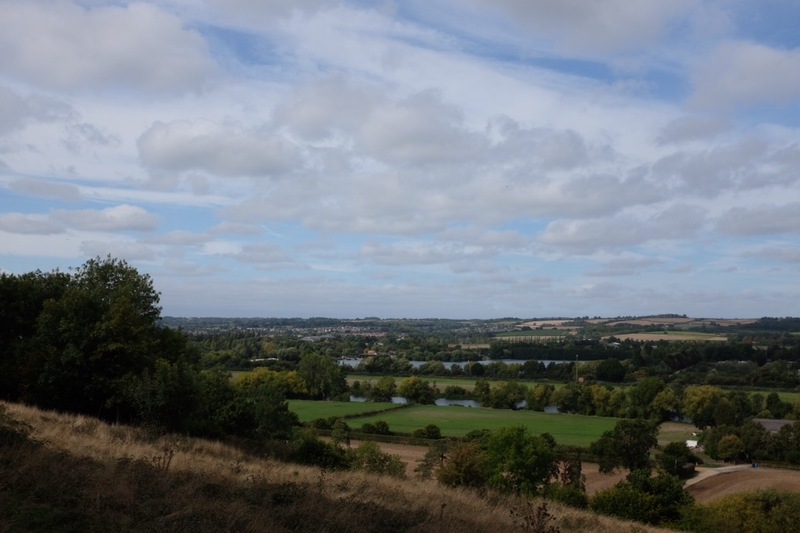 The Thames Valley near Bourne End on Tuesday. A lovely walk with a pub lunch at the end. 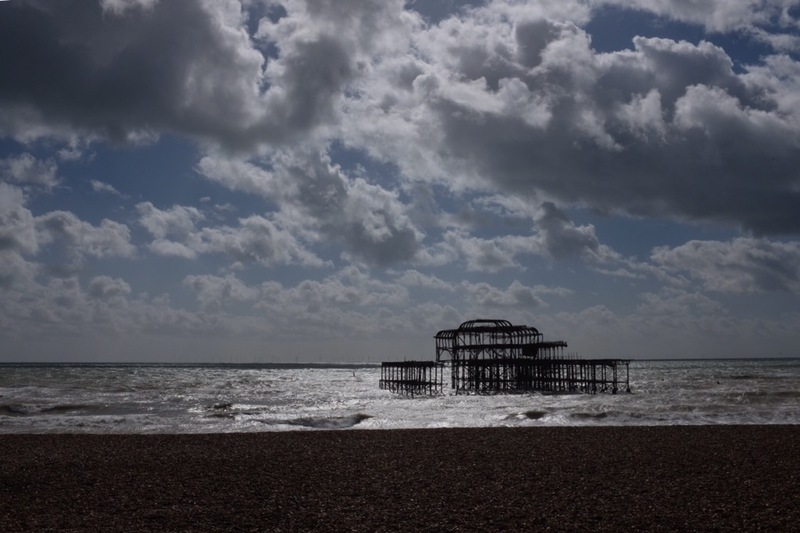 The skeletal remains of the West Pier in Brighton, on a bright but blustery Friday. 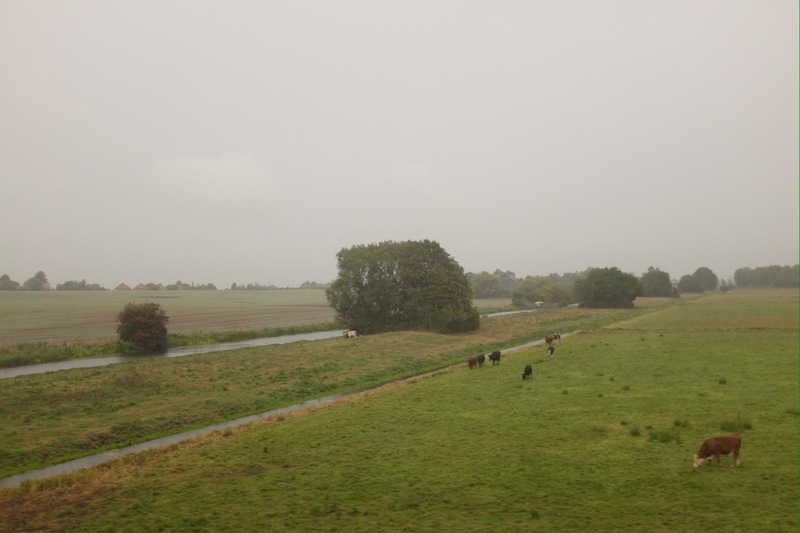 The Somerset levels seen from the train on a wet and gloomy Saturday. The Exe estuary a little further along on that journey. 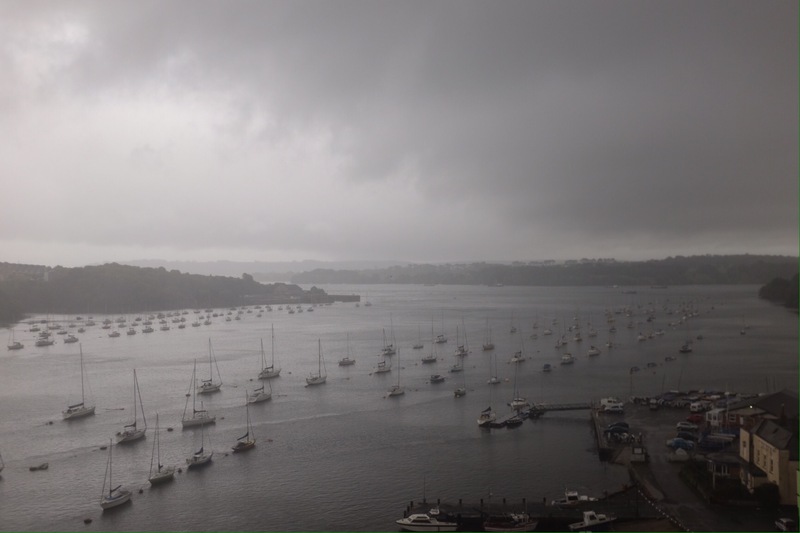 I always find crossing the Tamar by train magical, however dark the clouds. Picking apples with my stepmother on Sunday, as we did last year. 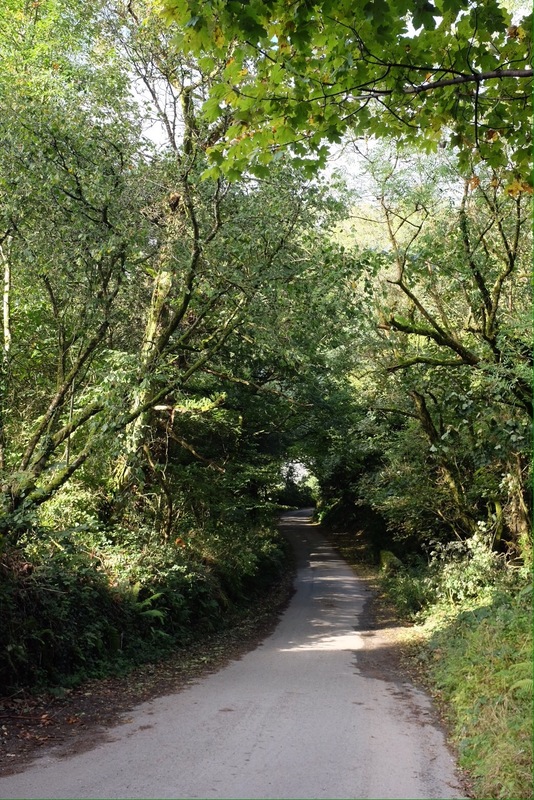 The road to my father’s house as it crosses the stream that runs at the bottom of the garden.